It may look like a lot of work for just a mouthful of food, but this beer-glazed chicken wing recipe is one of the tastiest ways to prepare poultry in the world. 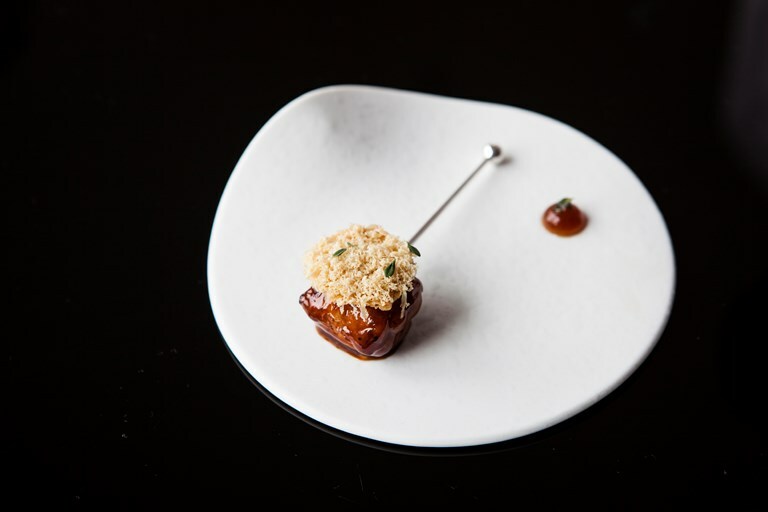 Sticky, sweet and perfectly cooked, the deboned wings are topped with crispy chicken skin, grated foie gras and a sharp beer vinegar gel on the side. Next, prepare the chicken wings for poaching. You only need the middle of the wing for this dish – the rest can be used to flavour the glaze. Make sure all feathers are removed from the wing and cut just above each joint of the middle bone. Push the bones out, ensuring no little pieces of bone are left inside.